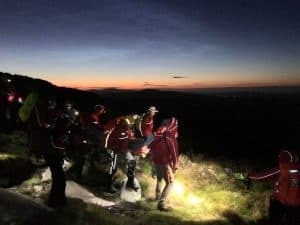 At 14:22hrs on Sunday 9th September 2018, The Glen of Imaal Mountain Rescue Team and Dublin Wicklow Mountain Rescue Team were tasked by An Garda Síochána (AGS) to assist a walker on the Great Sugar Loaf in Wicklow. 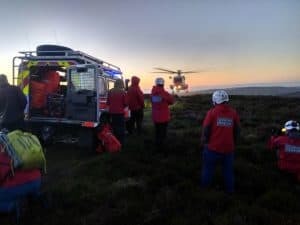 “The walker sustained an arm injury after falling on steep ground near the summit of the hill. 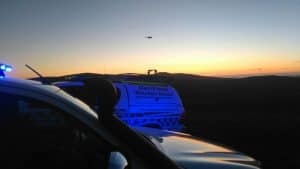 Due to the nature of the injury and the ground they were on her friends called 999 for assistance. 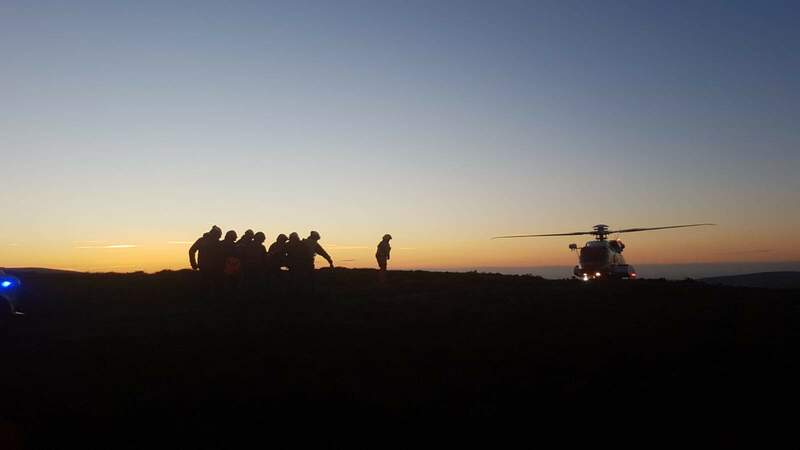 Mountain Rescue (MR) confirmed the location of the group using sarloc technology and MR personnel were dispatched. MR personnel assessed and stabilised the walker’s injuries. 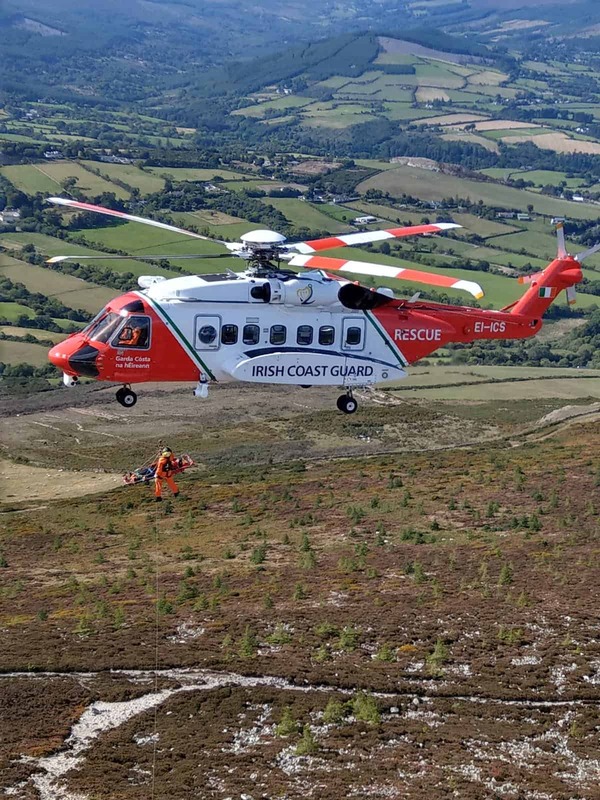 The walker was then airlifted to the bottom of the hill by Irish Coast Guard helicopter Rescue 117 and stretchered a short distance to an ambulance. 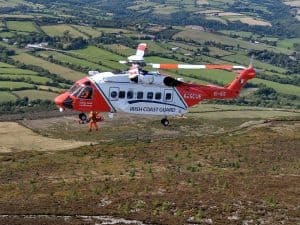 We would like to thank the Irish Coast Guard and HSE ambulance service for their assistance.